I'm starting to get a little anxious. I can't get into my classroom until next Tuesday. I guess they used my hallway for summer school so it's the last to get cleaned. I don't even need to set up yet, but I would like to get some book so I can start planning a bit. Oh well. 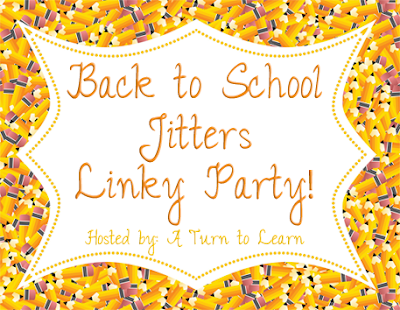 In the meantime, I'm joining up with A Turn to Learn for her Back to School Jitters Linky Party! 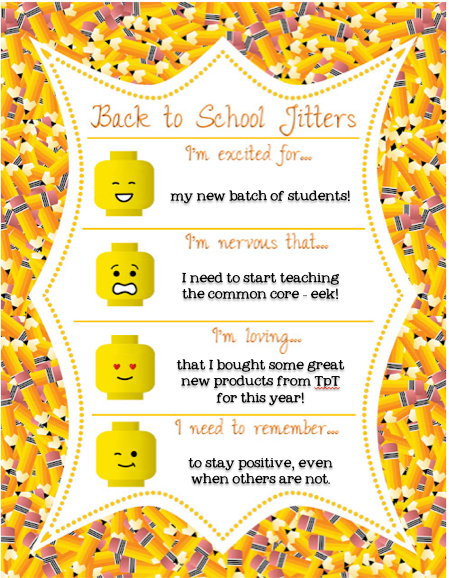 Every year I have back to school jitters! I keep thinking it will get easier, but the crazy dreams are inevitable! I've already had one and school doesn't start for another 2 weeks! I get so nervous every year, but after the first day of school, I realize that there was no reason to be! I know what you mean about the crazy dreams. I dreamed I forgot to go to our Open House that we have the night before school starts. Hah! I only bought a few things during the TpT sale but I am SUPER excited about them! Yay! I had my first back to school dream in JUNE, not fun! Staying positive even when others are not is great advice for all of us. I'm a new follower. 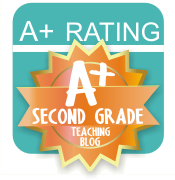 Glad I found your blog! I love your comment about staying positive, when others are not. It's easy to get in that complaining mode. But it makes life so much better when your positive! Good attitude. I absolutely love your last one... it's so hard to stay positive when you hear people getting negative, but it's definitely a fabulous thing to remember!